In The Problem of Pain, C.S. Lewis sought to provide an answer to the intellectual problem of evil. In philosophy, the “problem of evil” refers to the question of why an omnipotent and omnibenevolent God would allow evil to co-exist with His creation. The problem of evil is perhaps the most common objection to the truth claims of Christianity. Many people can’t reconcile the idea of a good and loving God with a world that contains evil. That is the issue that C.S. Lewis tackles in this classic work of Christian literature. This is arguably one of C.S. Lewis’s most powerful works of non-fiction and a must-read for those that are interested in apologetics. Clive Staples Lewis (1898-1963) is arguably one of the most beloved Christian authors of the twentieth century. He was a Fellow and Tutor in English Literature at Oxford University until 1954, when he was unanimously elected to the Chair of Medieval and Renaissance Literature at Cambridge University, a position he held until his retirement. Lewis was a world-renowned scholar and a devout Christian. Lewis is loved by many for his prodigious works of non-fiction in the subjects of theology and apologetics, as well as his famous fantasy series, The Chronicles of Narnia. C.S. 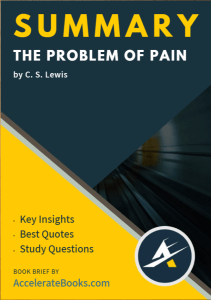 Lewis published The Problem of Pain on October 18th, 1940. This book is often considered to be his first major work of Christian non-fiction. C.S. Lewis experienced tremendous pain and suffering in his life, which made him uniquely qualified to write a book on the subject of pain. His mother died of cancer in 1908 when Lewis was only nine years old. He served in World War One and was wounded in battle. 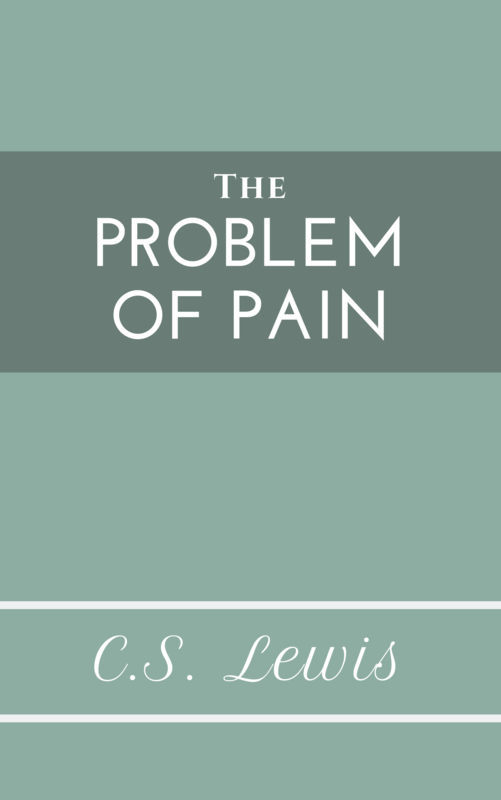 Lewis’ experiences of pain gave him the necessary perspective to write on the problem of pain.